State regulators Tuesday approved a plan by Duke Energy Florida to recoup money from customers for two solar power plants in Columbia and Hamilton counties. 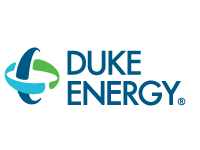 Duke sought approval from the state Public Service Commission to collect about $29.2 million a year for the 74.9-megawatt facilities in the North Florida counties. Under terms of a base-rate settlement approved by the commission in 2017, Duke is allowed to seek recovery of solar-project costs, though it also has to show that the projects are reasonable and cost-effective. The Hamilton County plant began operating in December, while the Columbia County plant is scheduled to start operating in early 2020, according to the commission.